Bengaluru, Ap 6: No ground is big enough for me, Andre Russell said after yet another unbelievable display of power hitting by the Jamaican in the Indian Premier League. Russell smashed an unbeaten 48 off 13 balls as Kolkata Knight Riders plundered 66 runs in four overs to script a memorable win over Royal Challengers Bangalore here Friday night. The all-rounder said that he had thought Australian grounds were massive, only to surprise himself by sending a few into the stands Down Under. "A few grounds in Australia and then I surprised myself there by hitting a few into the stands. No ground is big enough for me I guess, I just trust my strength and trust my power. I have good bat speed. I trust that as well," Russell said after his exploits in KKR's five-wicket win at the Chinnaswamy Stadium. Needing 66 runs off 24 balls, KKR were up against it before Russell came in and smashed them to complete the job with five balls to spare. His knock comprised seven sixes and one four. "The support is good from the boys and I am in a good space so that I can express myself. I try short arm jabs as extending the arms can put you in trouble. Can't explain much, rather show that on the field," Russell said. KKR were kept alive in the chase through opener Chris Lynn (43 off 31), Robbie Uthappa (33 off 25) and Nitish Rana (37 off 23) before Russell singlehandedly got the job done in the death overs. "I was confident when I went out to bat. DK (Dinesh Karthik) was telling me to take a few balls to see how the pitch is behaving. I was watching in the dugout on TV and had a fair idea. When you need 68 off 20-odd balls, it doesn't happen everyday. Need to put your body on the line. "The nature of T20 is such that one over can change the momentum. That's why I never give up. A part of me was saying that the runs needed were too much but I wanted to fight and eventually, we won with five balls spare," Russell added. 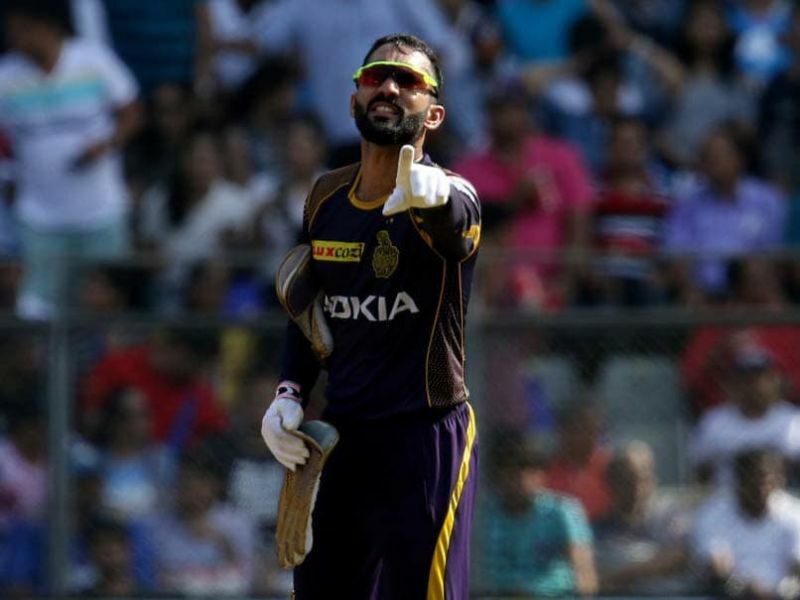 Skipper Karthik was delighted as this was KKR's third win in four outings, and lavished praise on Russell. Asked about his conversation with Russell, Karthik said, "I think you don't talk too much. He goes out there, and he's happy and gives his best for the team. The ball was gripping, especially with the ball turning away from you. "As much as Andre has been batting well, we need to look at our bowling better. We are planning right, but we need to execute better. The way Lynny (Chris Lynn) batted was good to see.